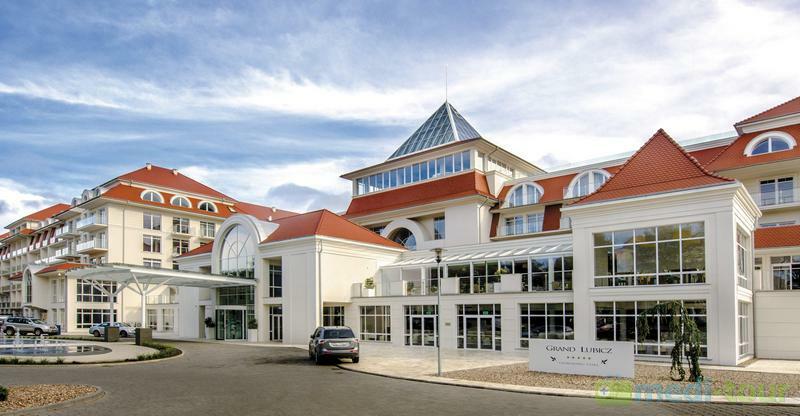 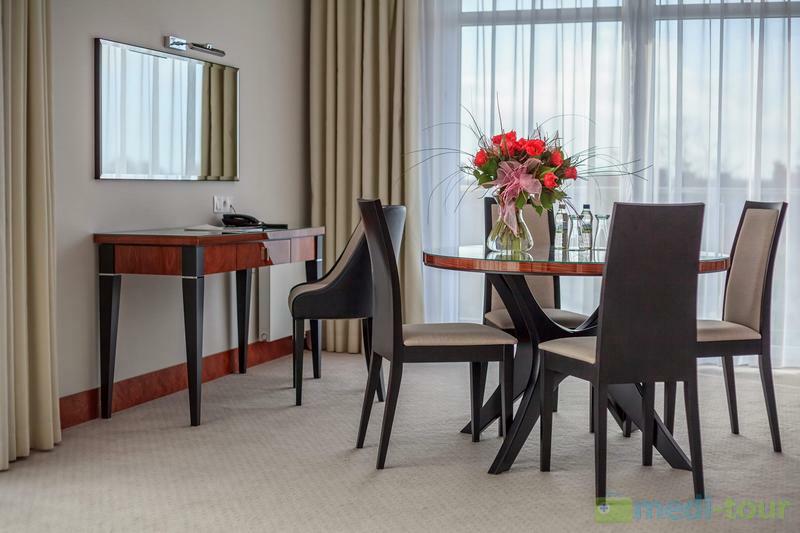 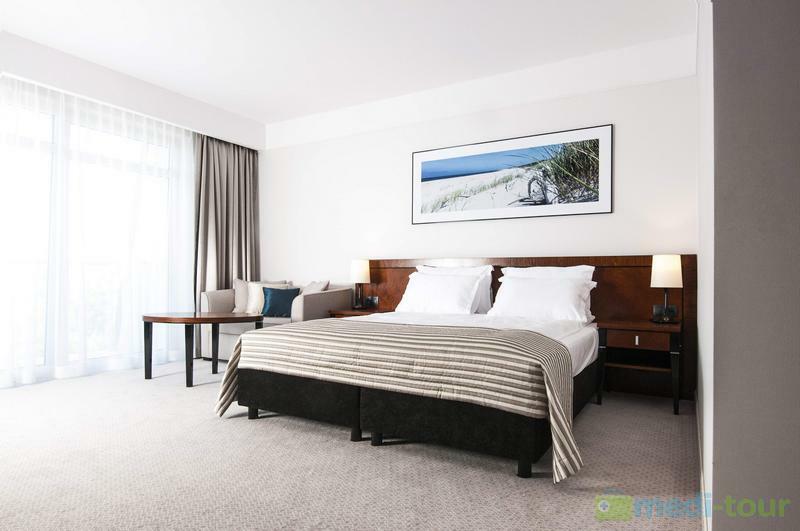 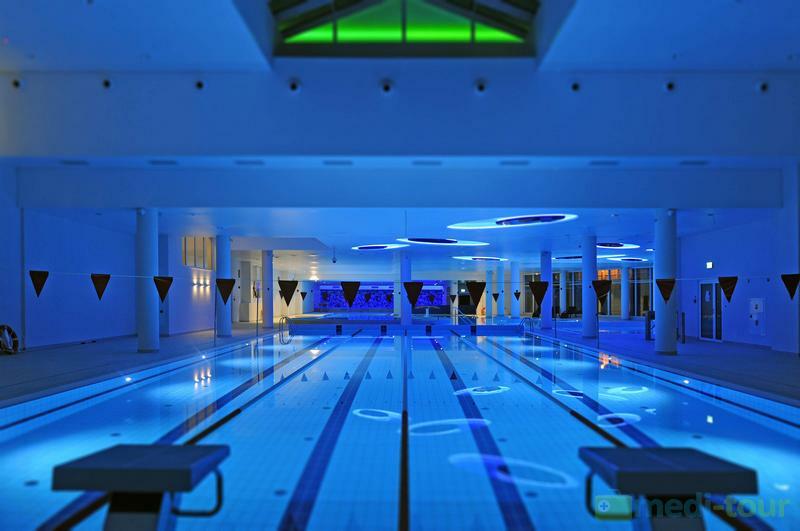 Grand Lubicz Hotel is the biggest and the most modern hotel – health resort complex on the Polish coast. 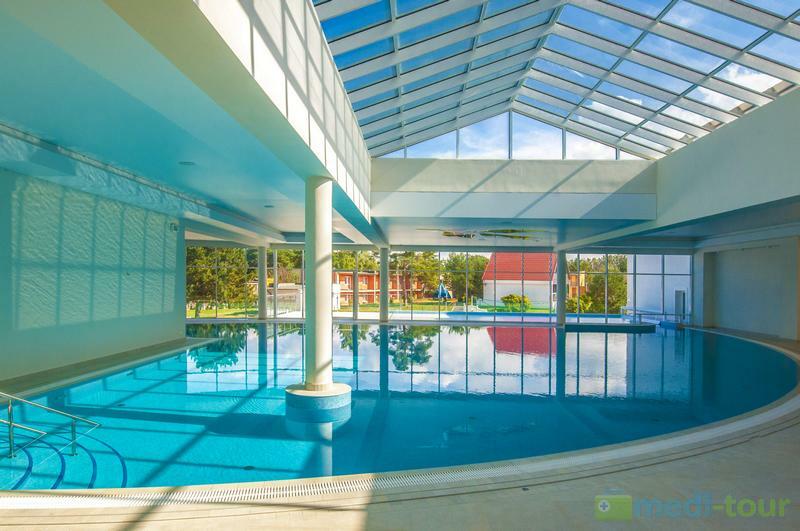 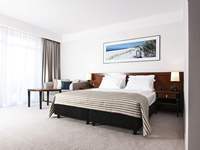 The hotel is located just 200 metres from beautiful, sandy beaches, and is surrounded by pine forrests in the health part of Ustka. 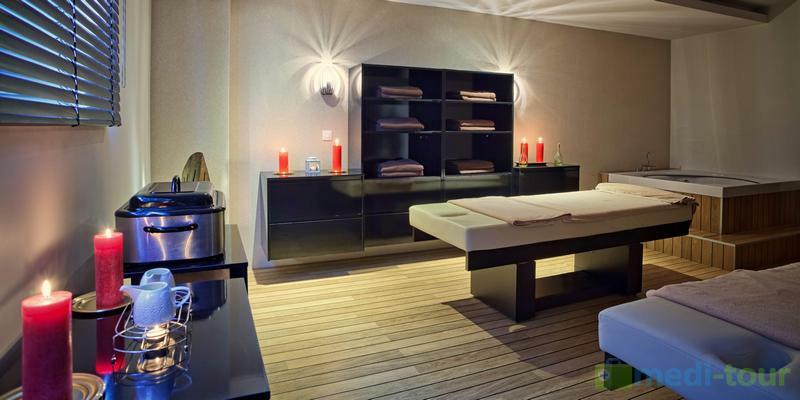 Grand Lubicz is a great place to rest and relax. 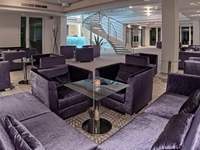 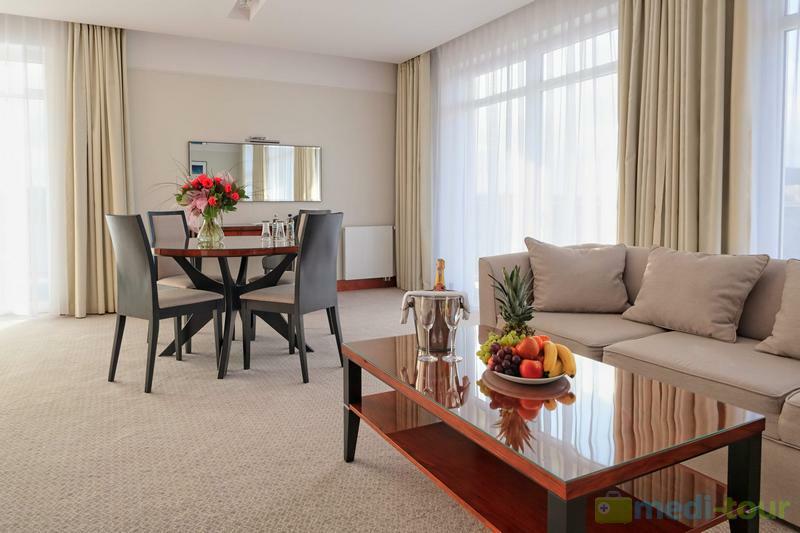 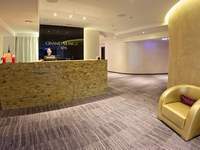 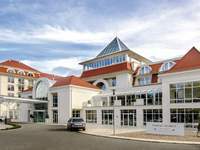 Apart from comfortable accommodation in beautifully furnished 5 star rooms there is also the Wellnes and SPA centre and professional Medical Zone. 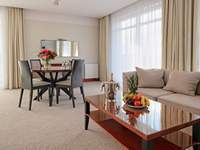 The rooms are air-conditioned and equipped with LCD TV, mini bar, wifi, code-controlled safe, hair dryer, bathrobes and a kettle. 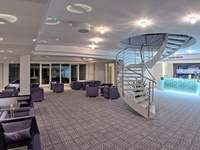 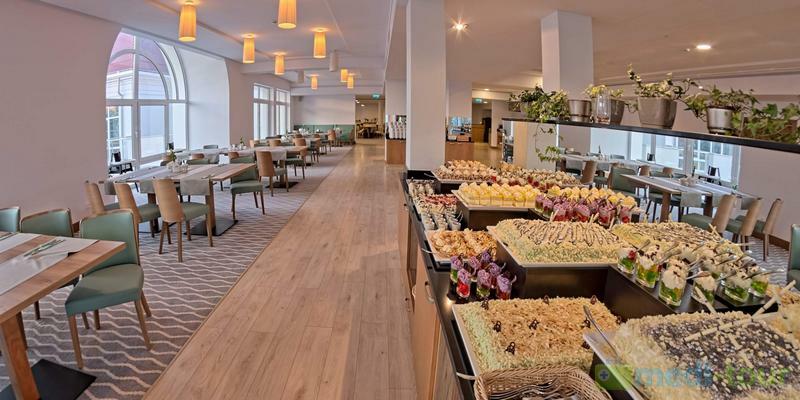 With a totally relaxed, yet buzzy atmosphere you can pop in for a bite to eat and enjoy nibbles, snacks or more substantial dishes in the a'la carte restaurant, Lobby Bar or Bowling pub. 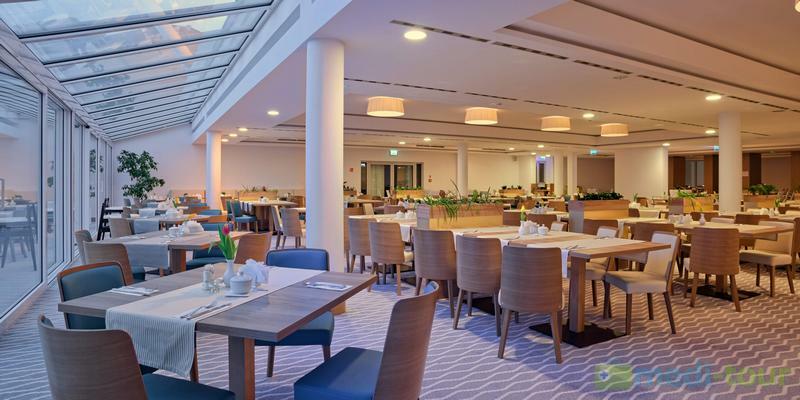 In the Panorama Launge Cafe you can try a selection of hot and cold refreshments including juices, herbal teas, alcoholic drinks , light snacks or cakes and enjoy an amazing view from the rotating tower. 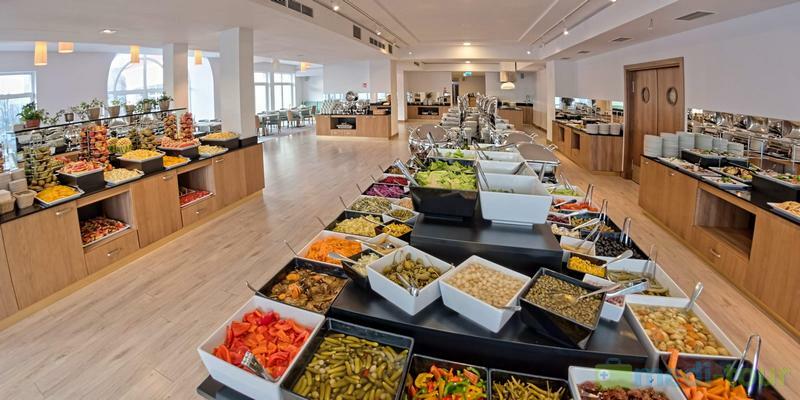 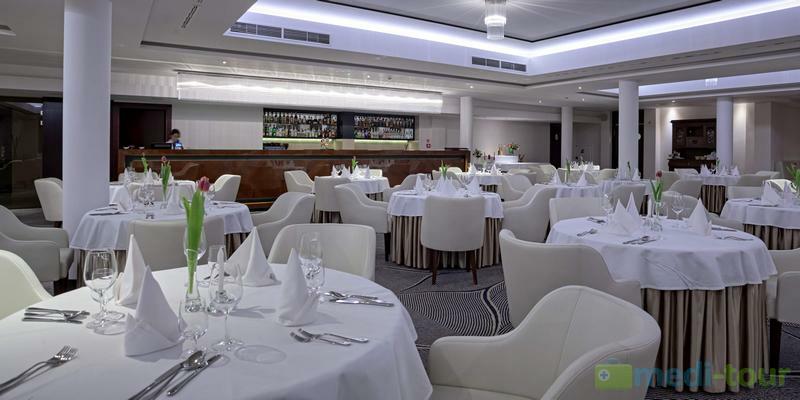 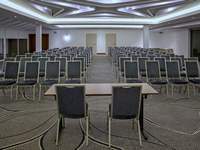 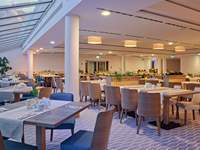 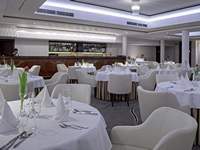 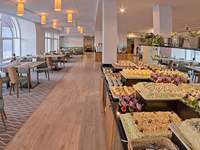 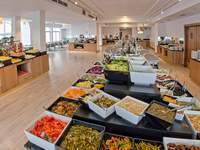 Grand Lubicz Hotel also offers a very modern congress and conference centre which is an ideal place to arrange conferences, congresses, trainings, business meetings or events. 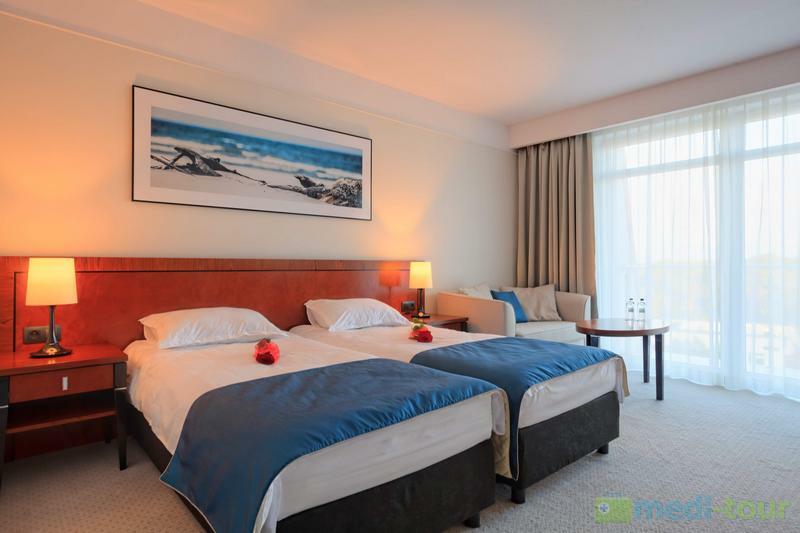 We have 7 rooms and five of them are designed in the way that can be transformed into one. 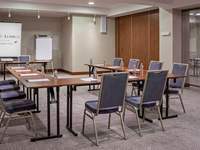 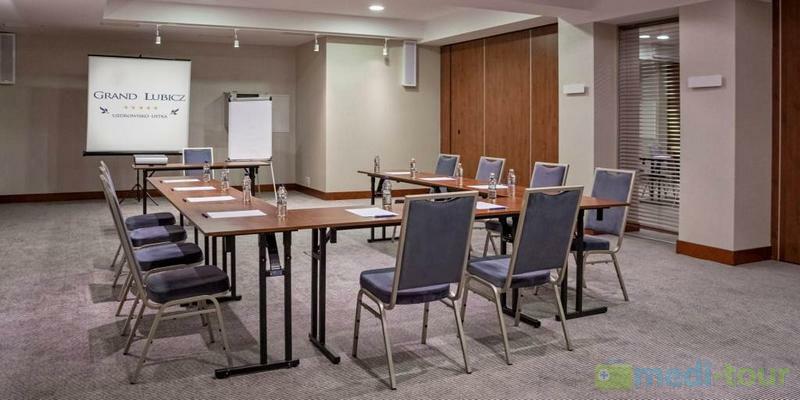 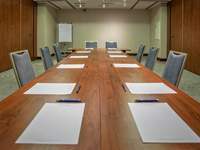 All rooms are equipped with silent air-conditioning, a fast wireless Internet connection, a professional audio system, and conference equipment of high quality. 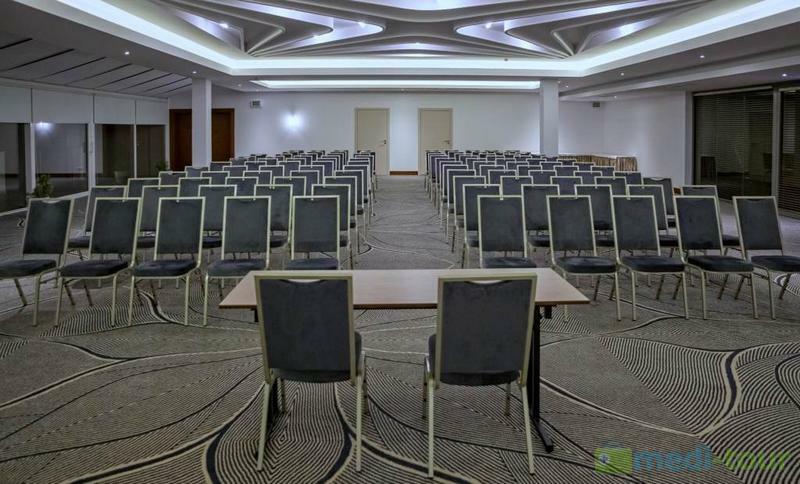 We can host up to 867 people. 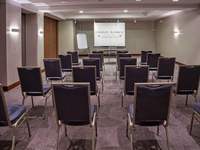 The organisation of conferences is our specialty. 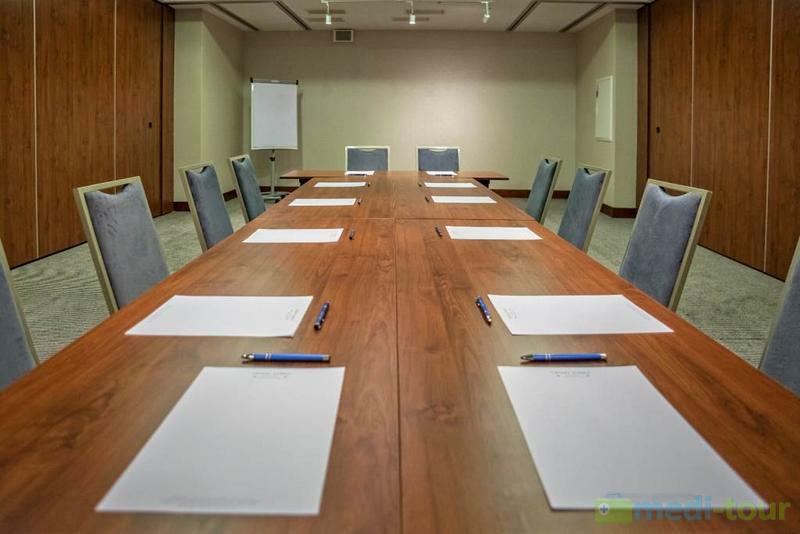 Our knowledge, experience and qualified personnel ensure professional service of meetings. 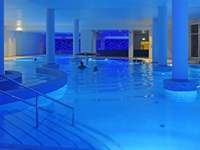 If you're looking for the perfect antidote to the stresses of working and family life, our indulgent range of relaxation and pampering possibilities will leave you feeling refreshed and revitalized, ready to face the next challenge in your life. 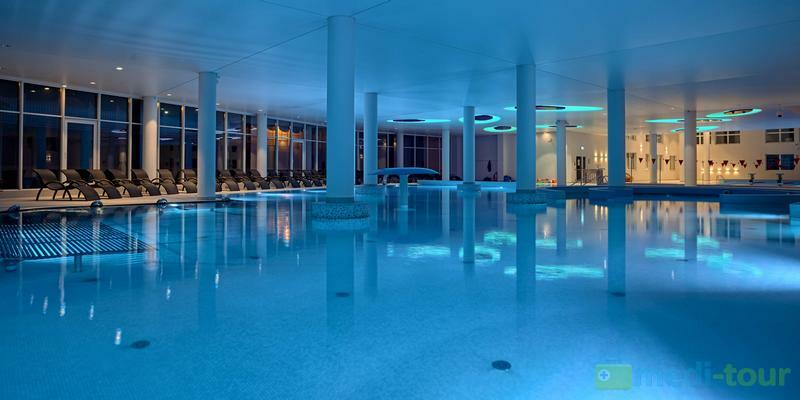 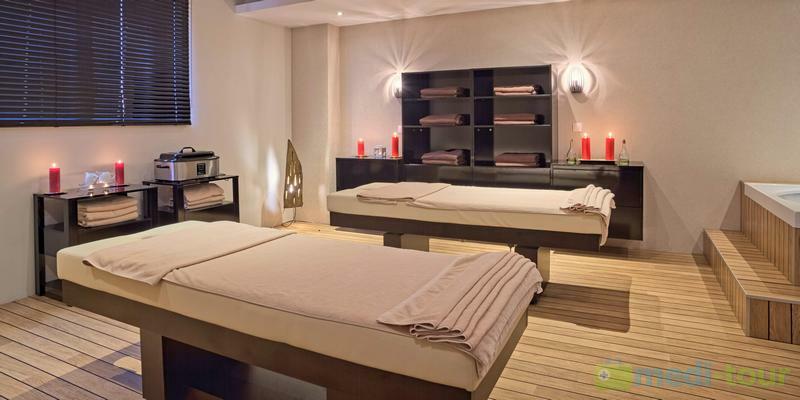 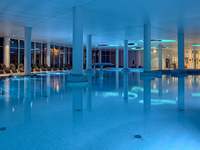 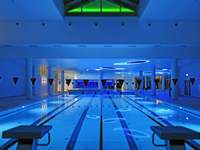 Grand Lubicz Spa centre consists of 22 rooms where you can find professional beauty, pampering, relaxing and and aesthetic treatments. 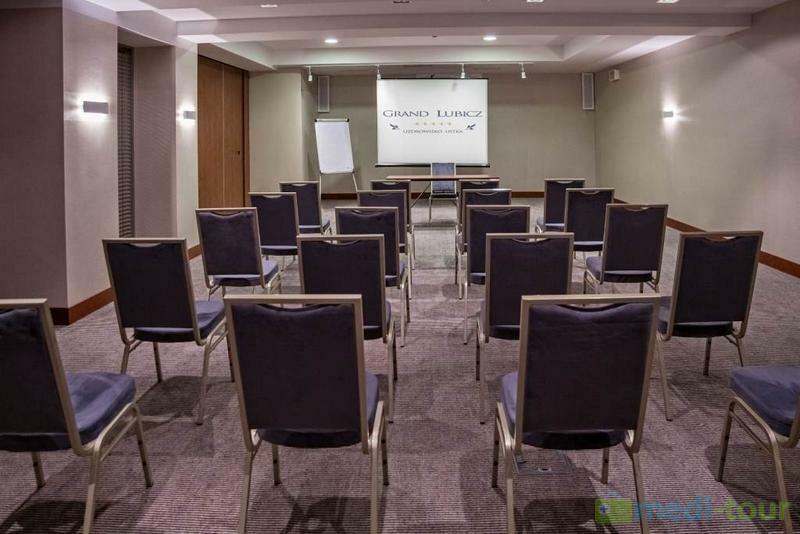 To provide comfort and to satisfy our clients, all rooms are equipped with professional equipment of the highest quality. 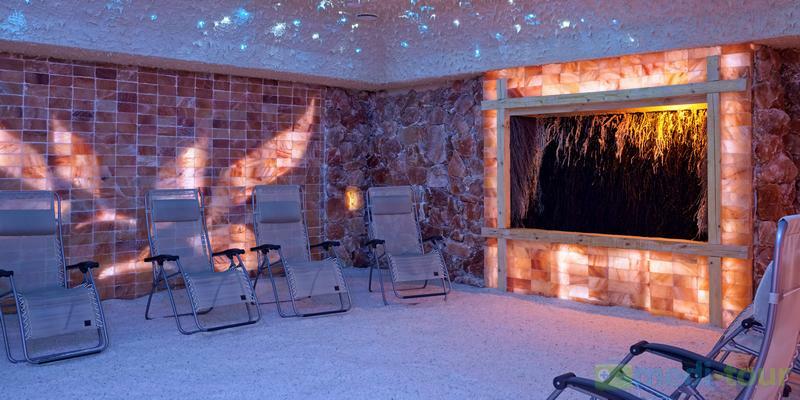 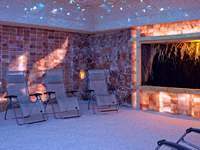 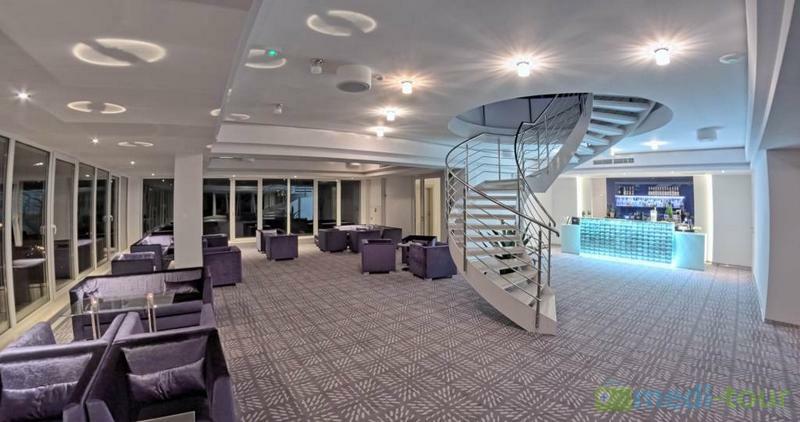 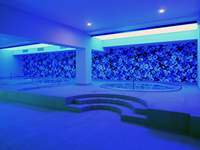 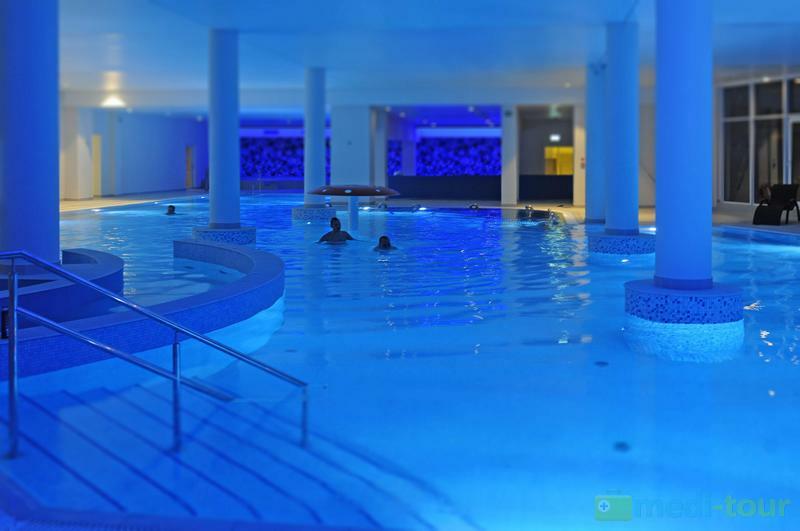 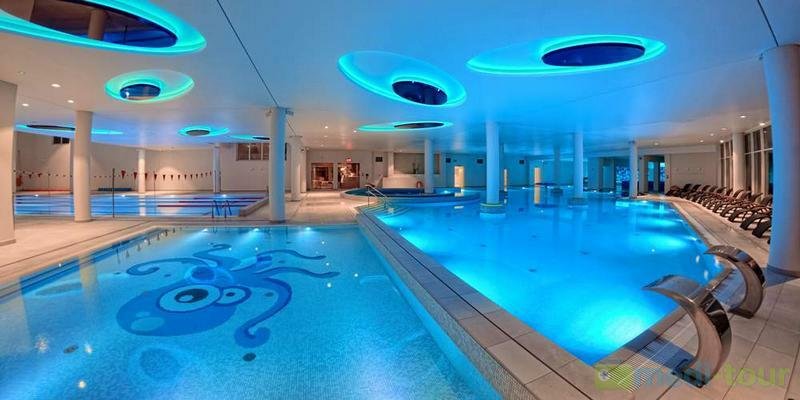 In the Spa centre there is also a relaxation room and a salt grotto with a graduation tower. 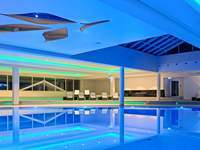 We also offer vouchers – the perfect gift for any occasion. 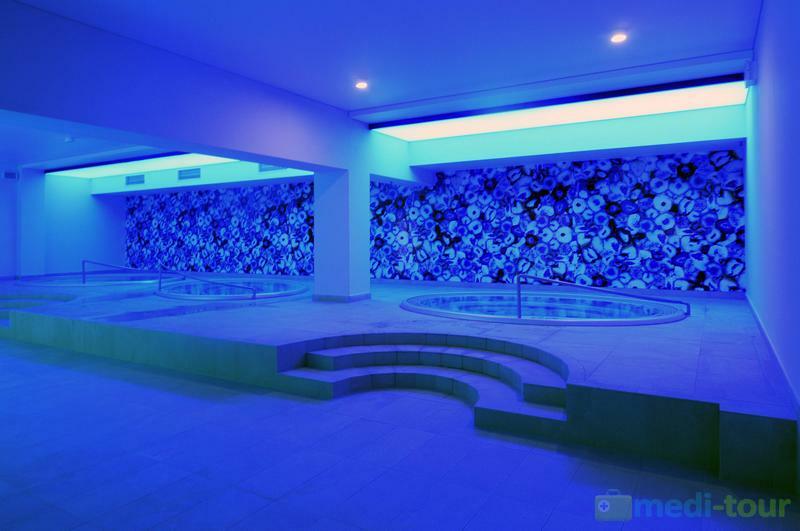 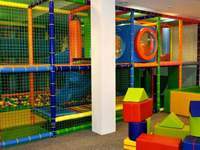 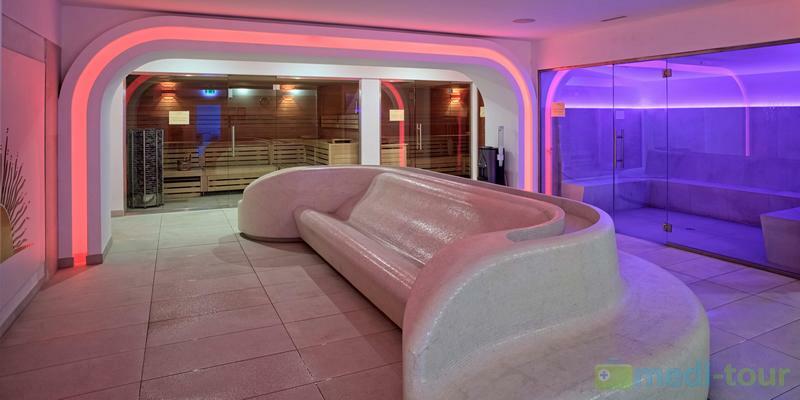 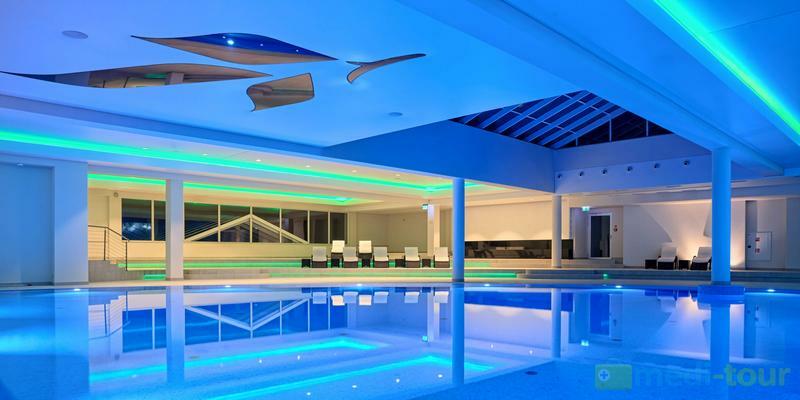 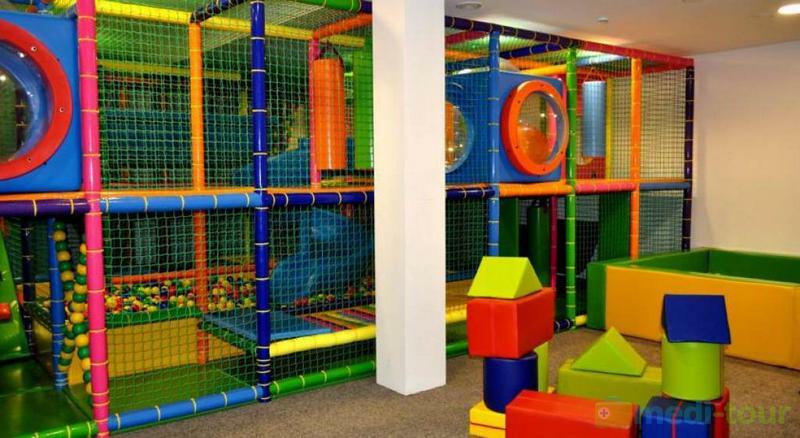 Grand Lubicz Wellness zone is like an indoor playground for adults so relax, have fun and really enjoy this unique experience! 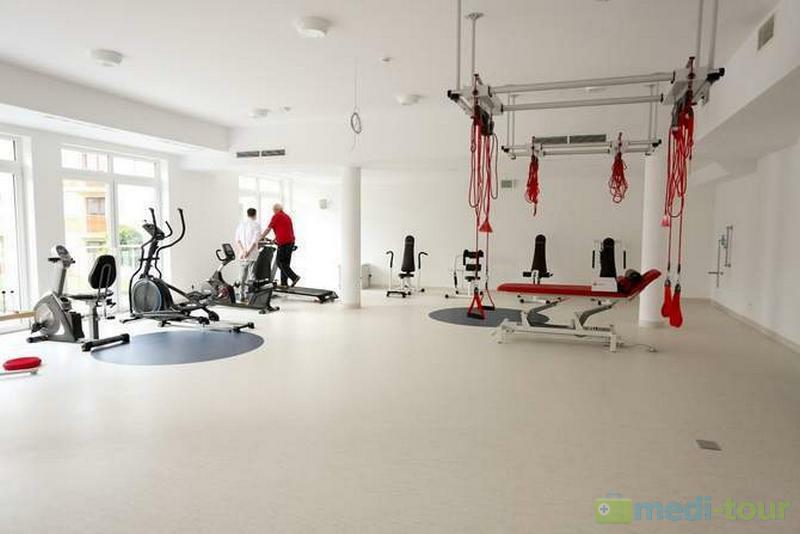 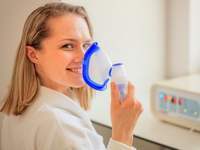 The Medical – Rehabilitation Centre in Grand Lubicz Hotel is a place where you can improve your health and physical condition, by using proffesional medical treatments. 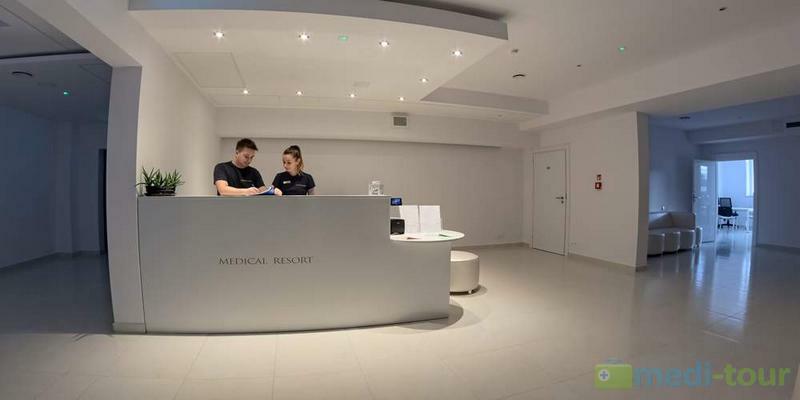 We employ fully qualified medical staff that guarantee high quality services and ensure proper therapeutic – rehabilitation care.